October is Breast Cancer Awareness Month. St. Joseph/Candler has partnered up with various organizations throughout our community to raise awareness of breast cancer risks and promote the value of screenings, treatment and early detection. In 2018, an estimated 266,120 new cases of invasive breast cancer are expected to be diagnosed in women in the U.S., along with 63,960 new cases of non-invasive (in situ) breast cancer. About 2,550 new cases of invasive breast cancer are expected to be diagnosed in men in 2018. Among the activities planned, WSAV-TV, Nancy N. and J.C.Lewis Cancer & Research Pavilion and St. Joseph/Candler Hospitals have joined with Tina Tyus-Shaw to present a free breast health empowerment event in order to create a social and informational platform for high school females. The event will take place on Saturday, October 13th from 11:00 a.m. to 1 p.m. at the Nancy N. and J.C. Lewis Cancer & Research Pavilion (225 Candler Drive, Savannah). Participants will gain valuable information on the importance of breast health, hear stories from survivors, and receive educational information from a physician and patient navigator. Refreshments will be served and there will be fun giveaways. Teen girls, ages 16 to 18, are welcome to the event. Reserve a spot by e-mailing Tina at ttyus@wsav.com by Oct. 5. October 22, Free Mammograms will be offered to those who are eligible at the Chatham County Health Department (1602 Drayton Street, Savannah), 9:00 a.m. to 3:00 p.m. Chatham County Health Department’s Breast and Cervical Cancer Program (BCCP) and St. Joseph’s/Candler Mobile Mammography Program will offer free mammogram screenings. Women who meet certain annual income guidelines and are 40-64 years of age without insurance will be eligible to receive a screening mammogram at no cost. Appointments are preferred but walk-ins will be accepted. To make an appointment, call 356-2946. On October 29 St. Joseph’s/Candler will host Mammography Day. Locations: the Telfair Pavilion at Candler, St. Joseph’s Hospital’s Imaging Services, SJ/C’s Telfair Imaging Center – Eisenhower, SJ/C Imaging Center – Pooler, and even the Imaging Center at Belfair Towne Village East in Bluffton, SC. SJ/C’s Mobile Mammography Unit will also offer mammograms at the Savannah Civic Center. St. Joseph’s/Candler will complete hundreds of mammograms for women all over the region, all in one day. 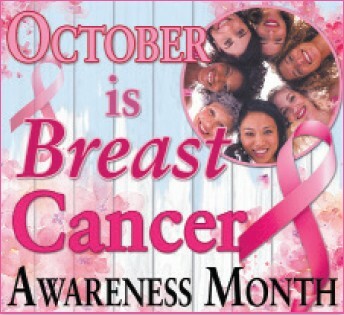 Call 912-819-PINK to schedule a mammogram.